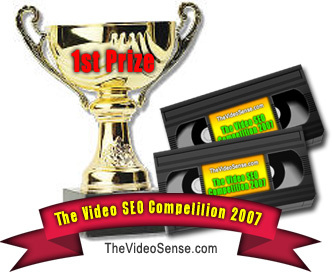 Is the Winner of the Video SEO Competition. John learnt about the Video SEO Competition from TheVideoSense.com forum. Competition. Not bad from someone who had Zero experience prior to coming to TVS. surely grant him an additional boost along to attain his online goals. 1. He used his main keyword in the title. 4. He did this with 10 different videos, one of them gained top ranking. Which proves that anchor text rich keyword linking to videos in video google helps it ranking in the video search engine. Do not rely on only 1 video, upload as many as possible. to totally grab this niche. Thanks to everyone who competed in this First ever Video SEO Competition. from the new video search engines.